Note: Before resetting the settings, the smartphone will ask for confirmation, so until the very last moment you will have a chance to change your mind. Your Google account settings stored on your smartphone. Data and settings of the system and applications. Current system applications and applications that come with a smartphone. Data on the SD card (photo, video, etc.). This code is used for factory formatting, that is, it starts deleting all files and settings including those stored in the internal memory. Think before you enter this code. It also reinstalled the firmware of the smartphone. Note: After entering the code there is only one way back - quickly pull out the battery and start restoring data through the PC. ATTENTION: Never use the first option, otherwise your phone camera will stop working, and you will have to take the phone to the service center to reinstall the camera firmware. Update the camera firmware to the image (do not try this option again). Update the camera firmware on the SD card. Get the camera firmware version. View how many times the firmware was updated. This code can be used to change the mode of the "End / On." Button. By default, if you press the button for a long time, a screen will appear with a suggestion to choose any option: Switch to Silent Mode, Flight Mode or Disable Smartphone. You can change the suggested options using this code. For example, you can make sure that the phone immediately turned off, without selecting the right option from the menu. 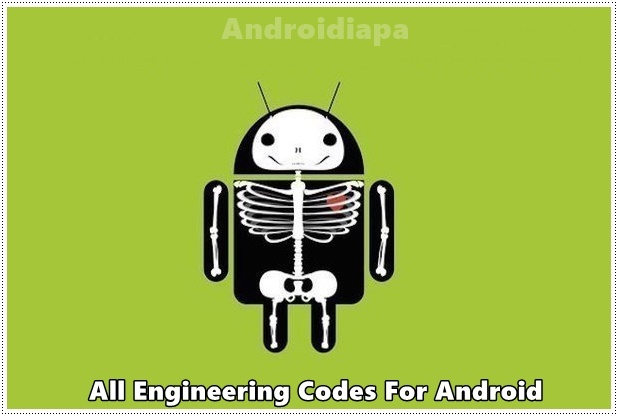 These are the basic codes for "Android", which may be needed for an advanced smartphone user. Once again, do not enter codes if you are not sure of their destination! But to solve some problems in the work of the device on "Android" these codes are extremely useful. It is worthwhile to think before you enter any code for "Android", because this can lead to partial or complete loss of data and disable the device itself.